As the winds of war were gathering in Europe and hurricane winds were pummeling Long Island, 1938 was also notable for a somewhat less turbulent event: the founding of the Great Neck Teachers Association. It is easy, at a time of relatively amicable relations of the GNTA with administrators, the Board, and the community, to take the union for granted. Many newer members, especially, don’t have the historical perspective to appreciate the battles fought by the union in the past to protect teachers, improve working conditions, and obtain a fair contract. For three quarters of a century, between the two great hurricanes that have battered our area, the Great Neck Teachers Association has remained a pillar of strength as advocates for teachers and for educational excellence. While the last quarter century has been fairly smooth sailing for the GNTA, under the steady stewardship of Nancy Chauvin and her recent successor, Sheila Scimone, this has not always been the case. The Great Neck Teachers Association was formed in the fall of 1938, following a turbulent year in which four popular, veteran teachers were fired by the high school administration. After protests by a crowd of 1500 students and parents at an evening meeting, the Board of Education met several times to review the situation, and ultimately fired everyone – the four teachers, along with the principal and the dean. The Superintendent, Willis Dodge, then resigned. Foreword – It was just ten years ago –in September 1938 – that the Great Neck Teachers Association took the first steps in organization… prior to that time only the most daring of our number had whispered of the advantages to be gained from professional unity. United Nations – As soon as it became apparent that Lake Success was to be the home of the United Nations, and the various local organizations decided to set aside one evening for an official welcome, GNTA was happy to be one of the many community sponsors. Our committees assisted with arrangements; many members were hosts to UN personnel, and our treasury helped liberally. Credit Union – …. It is clear why the Great Neck Teachers Association early in 1941 became interested in the formation of a Credit Union. It was not until 1945, under the added impetus of rising expenditures due to the wear, that the Great Neck Federal Credit Union was chartered. Sponsored by the Great Neck Teachers Association, which is the holder of book Number 1 with a deposit of twenty-five dollars, it offers its services to all employees of School District #7. Its officers include members of the faculty, clerical, custodial and administrative staffs of our school system. Salaries - …Because of a persistent inflationary spiral, no salary schedule is sacred. However, we can say for the moment that Great Neck salaries are competitively in the running with salaries of the best public school systems in the metropolitan area. What is more important to members of the GNTA is the fact that our teachers have had an ever increasing role in recommending salary policy. ….. Looking Ahead - ….We have learned that we gain by working together as a group, but we have much still to learn. We have come to have some share in planning, as the work of the Salary Committee can testify. We need to have an even greater share in the planning and shaping of school and community policies. We are aware that these are great responsibilities, but we have come to recognize that we have great power in our unity. We look forward to making that power felt far beyond our own small circle. …this was achieved by early February, with respect and appreciation on both sides of the bargaining table. In the February 11, 1954 Great Neck Record, Dr. John L. Miller is quoted as saying, “It has been a real joy to work with the members of the Teachers Association Salary Committee and with the President of Great Neck Teachers Association, who likewise met with the committee. Through this experience has come an increased appreciation of the high quality of the professional staff we have. This august salary schedule had a top salary of $8500, which was achieved after 35 years of actual teaching experience and a doctorate or its equivalent. A salary of $7500 was attained after 19 years of experience and a master’s degree. In 1954, Great Neck led the nation with this schedule, thus adding to its “lighthouse” reputation. 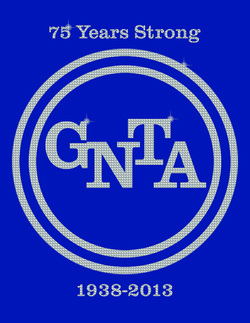 In the school year 1966-67, GNTA adopted a new constitution that re-organized the Association. A Delegate Assembly, representative of building faculties, was established. This body became the legislative and policy forming body of the Association. The Executive Board, consisting of three officers and the chairmen of the Educational Policies Committee and the Teacher Welfare Committee, became responsible for the general management of the Association. The following excerpts (in italics) are taken from The GNTA News and other GNTA publications of the 1970’s. November, 1971 – GNTA Welfare Trust Fund Agreement Finalized – The first Board of Trustees are led by Chairman Clifford Cobb and fellow educators Zita Areman, Nathan Epstein and Wallace Ryall; the remaining two Board members are school district appointees Edwin Groshans and Lawrence Rose. The first Welfare Trust Booklet states that “Now all of your dental and life insurance is handled from one office whose sole responsibility is the efficient and careful handling of your insurance affairs.” (ed. note: GNTA was one of the first teachers organizations to negotiate a trust agreement. A fund administrator was soon appointed to oversee the fund’s operation and work with the trustees; Gloria Mathews first filled this role later followed by Edie Ryall. The GNTA Benefit Trust Fund now has seven trustees – five teachers, one administrator and one office staff; the retired educators chapter (REC) also has a representative on the Board. The Fund oversees seven benefits plus a legal and a financial planning service for insured personnel; REC members receive some of these benefits paid directly by individual members. June 1972 – Teachers Vote To Unite – Members of the New York State Teachers Association (NYSTA) and the United Teachers of New York (UTNY) have voted overwhelmingly to merge their organizations thereby creating the New York Congress of Teachers. ….They merged associations, representing nearly all the teachers in the state, will be the largest statewide union (200,000+ membership) of educational employees in the nation. (ed. note: This merger led to the creation of NYSUT, and was the first merger of a NEA affiliate and an AFT affiliate at the state level ). January 1975 – GN Vote Will Meet January 23 – The new political action organization known as Great Neck Voice Of Teachers for Education (GN VOTE) will hold its first meeting on January23. The formal establishment of the organization occurred on November 14 when the Delegate Assembly voted to accept the recommendations of its political action committee. 1979 – GNTA established the Retired Teachers Chapter of GNTA – now called the Retired Educators Chapter. Membership includes teachers, administrators, office personnel, and paraprofessionals…Grace Avenue School was rented to CLASP, Open Door, and Senior Center…September – Junior Highs became Middle Schools (grades 6-8 instead of 7-9). 1982 – Per diem chapter of GNTA formed. 1983 – GNTA moves to the Cottage. This section has highlighted some of the early achievements of the GNTA and provides a brief timeline of its evolution through the mid 1980’s. The last three decades of the GNTA has been a period of relative tranquility and stability, marked by the lengthy and distinguished tenures of Nancy Chauvin (27 years as GNTA President) and Dr. William A. Shine (22 years as superintendent), as well as a number of long-standing Board members. For those years, we have asked several teachers, mostly now retired, who were officers or active members in the union to reflect on their experiences. Their thoughts and reflections are recorded in the following section, Reminiscences. The period of the mid-1960’s to the mid-1980’s was a time of dramatic transition for the GNTA. During that period, the GNTA changed from being an association of teachers to a strong, unionized group of professionals, committed to improving the working conditions of the teachers of Great Neck, and recognizing the needs of retired teachers. The idea of a retiree chapter was not an original one – I saw how the New York City retirees worked with their active chapter and thought it a good idea for Great Neck. The first time I proposed, as President, to the Delegate Assembly about forming a retirees chapter, it was rejected. Then about two years later, the person who led the opposition changed her position since she was about to retire; she then proposed the chapter formation and it was adopted! In the beginning, Mary McWilliams, Franklyn Kehrig and Ruth Williams took the leadership and developed the basic terms for the retiree chapter. Later on, Ann Watson began collecting materials with the intent to write a history of the chapter but, unfortunately, it was never completed. Other leaders who actively created and led the chapter in its early years were Jack Fields, Oliver Fjeldal, and Ruth Williams. Eventually NYSUT engaged Mary McWilliams as an organizer to create and form retiree chapters throughout New York State using our Great Neck retiree chapter as a model; she was quite successful in this venture! Today, the chapter is led by Bill Toto and still is a model of success. In my opinion, it is wonderful that the Retiree Chapter has continued to grow and be active. Great Neck had been a “lighthouse district” educationally certainly since the end of WW II with excellent teachers, strong students and Boards of Education who valued their staff. Teachers, however, had no real power in bettering their wages or their benefits. This changed with the passage of the Taylor Law in 1967; for the first time teachers obtained the right to negotiate working conditions and salary. Before the Taylor Law, teachers could discuss these things with administration but, in many cases, they were ignored. Under the Taylor Law, negotiations had to take place. Additionally, the possibility of ever again ignoring teachers ended completely with the 1968 NYC/UFT strike. During this 20 year period, the GNTA, under the leadership of presidents Carl Hedstrom and Zita Areman , moved to become a “lighthouse” union, training its membership in negotiations and educating both teachers and community in why what was being sought through negotiations was good for both teachers and students. During this time, salaries, benefits and working conditions improved enormously for the teachers of Great Neck. GNTA teacher contracts became a model for teachers in districts throughout Long Island and New York State. I served in various capacities with the GNTA, starting as a building rep from North Senior. I worked with outstanding individuals whose goal was the betterment of teachers: Cliff Cobb on insurance benefits; Howard Edelman, Nate Epstein, Bill Ryall on negotiating teams and teachers like Mary Bachand McWiliams who was instrumental in the formation of the GNTA Retired Educators Chapter which remains a vigorous organization. Numerous others worked tirelessly to create good contracts and benefits for all Great Neck teachers and retirees. It was an invigorating, fulfilling time! I do remember when Nancy was first elected as I did actively participate in her campaign, as well as Tom Murphy’s. I remember clearly the first day we walked in to the cottage with our newly elected officers. The realization of what we had taken on hit us.It was overwhelming. But we all dug in and GNTA certainly grew professionally since that day. It was such an awesome and scary moment. As for myself, I have held several positions. Probably the first was BRC. One of the first big issues I remember was sabbaticals. At the time there were some people who got two, before others who never got their first. I remember Bonnie Gottwik (my mentor before mentors existed) speaking to that issue; and the long DA meetings where you really had to know your parliamentary procedure. The next big issue was excessing. Many hours spent on trying to build in protection and a fair system. Schools were closing and teachers’ positions were being eliminated. It was a very emotional time since there were so many jobs at stake. We got through that also, with a great deal of sweat and tears. Of course somewhere in there, Maureen Newman and I became CIC co-chairs. I am most proud of the fact that I wrote the original proposal for the Summer Scholarship contract article. It eventually became a permanent part of the contract. At the time I wrote it, I was just a new teacher and didn’t have enough money to take the summer course I wanted. And I reasoned that with the degree I had, if I had worked in business as many of my college mates had, I would have had much of my further education and training paid for. So I felt teachers should also have this opportunity. I also helped set up the criteria and committee for the scholarship program. I was pleased that Great Neck was willing to continually participate in staff development. Eventually I became VP for Professional Rights and Responsibilities and as such a member of the negotiating team. I remember surviving the late night negotiations, sometimes until 2 or 3 AM. I have fond memories of being encouraged to run for office, to serve on the executive board, and participate in several committees. Those experiences were very helpful to me as I moved from the classroom into administration. I learned about collaboration while on the curriculum committee. I also learned a great deal while serving as chairperson of the teacher selection committee. It reminded me of a Chinese menu - one from column A and one from column B, etc., etc. People had to volunteer and had to be rotated. Some committees were hard to staff. Other times I got some folks angry. I think that's when I developed my thick skin. Great Neck was among only a few districts that had teachers on committees to select teachers and administrators. Those experiences stayed with me for the rest of my career in education and now in higher education. When I was hired to teach in the Great Neck Public Schools in 1956, there were five K-3 schools, all of which were model learning environments for youngsters. I was assigned to the Kings Point School, to be renamed the Cherry Lane School. Cumberland, Cutter Mill, Cedar Drive, and Grace Avenue were the other four. These five schools were deliberately designed for children between the ages of five and eight. The playgrounds surrounding them were beautiful parks---well designed, equipped, and spacious. The classrooms all had a wall of windows emphasizing the relationship of the outdoors to the learning going on in the classroom. There were five veteran teachers, called Consultants, assigned to these schools who once a week visited each classroom in each school. I worked with Karl Seitz (shop) who helped us construct an Iroquois longhouse in the back of the school, which was the focus of a year-long study. Al Hertzberg (science) made learning an adventure for the students and taught us all to care deeply about the environment. Florence O’Brien (art) was herself a gifted artist and made classrooms into studios and students into painters. Dorothy Byrne (home economics) taught us all how to sew, and boys and girls were equally delighted to learn Swedish weaving. The fifth member of the team was a physical education teacher who rotated with the seasons and instructed us on how to establish daily exercise routines with the children. I taught in two of these schools and my daughters attended two others so I speak from experience when I say that these schools were outstanding in every respect. Textbooks and testing were never part of the curriculum. Today there are power moves to privatize American education and to diminish the autonomy and professional judgment of teachers. Unions and the educators they represent must make an unprecedented effort to resist these forces by being informed and taking action. Partnerships with parents has never been more important, and one of the more promising signs is the growth of the opt-out movement which seeks to end high stakes testing. It is not just illogical to make tests harder, give students less time to complete them, and make the stakes higher and higher, it’s wrong. Union leadership must channel information to stakeholders that is not readily available in traditional news and media reporting. Educational historian Diane Ravitch has created a blog at http:// dianeravitch.net that is quickly becoming an important forum for an exchange of ideas and ways to become involved. Teachers ought to be in charge of educational matters and have control over their working conditions. Why should politicians and businesses who know little or nothing about the education of children be intervening in ways that thwart educators’ autonomy? When I begin teaching in the Great Neck Public Schools I was always aware of the important role of the union in protecting not only my rights as a teacher, but those of my colleagues, the children, and their parents. The rights of workers to unionize is a hallmark of a healthy democratic society. The rush to privatize the schools is a poorly disguised methodology to erode the role of unions, to take over the public schools, and to minimize the role of the professional in educational leadership. Ultimately I am optimistic that those seeking to do so will not succeed. Computers can’t replace teachers, corporate profiteers seeking to expand charter school chains do not understand the importance of local context, and the public knows that a quality education is the most important foundation for success in life. In March 1981 I was hired by the Great Neck School District as one of four registered nurses to replace four retiring school nurse teachers. The school nurse teachers (SNT) were no longer being hired as it had been determined that registered nurses could staff the Health Office and take care of the medical needs of the students and staff. The Health Training component could be included in the teacher’s curriculum. This move would save the district several thousand dollars, as the SNT’s were paid on the teacher’s salary scale and the nurses would be paid on a substantially lower scale. In September, 1981, at a new staff meeting were told by Nate Epstein, GNTA President, that we would be paying union dues, but not have any representation. The four of us were somewhat disconcerted by this information. Although we did receive health benefits from the district, no other arrangements had been made for us, as we were actually civil service employees. The four of us sat down and decided that, as dues-paying members, not having any bargaining power was not to our liking and we would attempt to become members of the teachers unit of GNTA. The district at first attempted to keep us as a separate unit, and when that was not acceptable to us they wanted to place us in the clerical unit, which we object to as our job description was the same as the SNT’s except for the classroom instruction component. I was elected President of the unit and on November 25, 1982, a petition was filed to add the four registered nurses to the teachers unit. I represent my four colleagues at a hearing before and Administrative Law judge. The ruling was in our favor! We officially became members of the teacher’s unit of GNTA. Now there are 15 school nurses in the district. NY. I was there until 1948. While there I was president of the educators organization from 1945 until 1948. At that time it was not known as the teachers organization as principals and other supervisors of personnel also belonged. Our meetings were held in the evenings. At one of these meetings two members of the Great Neck Teachers Association asked to attend the meeting and requested permission to address the membership. The two teachers who came were Maureen and Dorothy Hicks. Dorothy addressed the assembled body recommending that the teachers from their own association separate from the supervisory personnel. I answered this by saying that as we were all working to provide the best possible education for our students, we should continue to do just that. No action was taken at that time, nor was the organization changed before I left in 1948. Sometime after 1948 the teachers formed their own organization called the Federation of Oceanside Teachers. When I came to teach in Great Neck in 1949, I immediately became a member of GNTA, serving at one time as editor of its newsletter. I was also a delegate to the House of Delegates from 1959 to 1962. When the administrators and supervisors of Great Neck formed SAGES I became a charter member, serving as its secretary twice. Since my retirement in June 1984 I have been a member of the Retired Educators Chapter of GNTA. Presently I am serving on its Executive Board as the corresponding secretary. I was elected to the Executive Board of the GNTA, and began a journey filled with incredible pride. I was never more proud of being called "teacher" as I was working with teachers with such intellect and integrity, such dedication and devotion. Our goals were terms and condition of employment, fair protection of our teachers, and contractual obligations to be met by ALL parties involved. I served as Middle School Director for 12 years, or three contracts. We had our own Tom and Jerry: negotiations personnel Tom Murphy for GNTA and Jerry Ehrlich for the district. There were some hard-fought contractual negotiations, but they were carried out with mutual respect. I look back with awe and admiration; our team was well prepared, articulate, and extremely professional. There were some changes in personnel along the way BUT the goals and methods of operation remained! We were recognized for our outstanding qualities by teachers from local, regional, state and national levels. There is life after retirement! The year starts in January and ends in December. I now belong to TRIF:/teachers Retired in Florida. My years as a teacher in Great Neck and on the GNTA executive board prepared me for service and continued support/advocacy toward those goals. In the late 1950s I had the ‘illustrious’ position of being the school’s GNTA representative. One day I received a large packet of membership forms which I dutifully distributed into each teacher’s office box. Most were returned with a five dollar bill or a check for that amount. Yes, it cost only five dollars for an annual membership in our association. And yet, a number of the faculty resisted joining. Yes, it was a small number of faculty members who were averse to this contribution. I would make an almost daily round to the one faculty member who would not join. I cajoled. I urged. No use. He just wouldn’t join. “Too much like a union; what do you need so much money for....” Finally, I said, “if you give me five bucks for the membership, I will personally guarantee you at least a five dollar raise next year! Probably, double that amount! If you don’t get that raise, I will pay your dues for the next year.” That sold him. Not only did he become a dues-paying member, but over the years, he became an officer in the Association and its treasurer. One or two years later at the Association’s monthly council meeting, there was a motion to raise the dues to $10. It was bitterly resisted. A compromise ensued. The final result was $7, Of course, this was before the Taylor Law and NYSUT. There were a number of “ol timers” who resisted the thought of ever joining a union. A teachers’ union is only one component in the total process of educating children, but it is an important one. The children profit from a successful educational system when we all work in harmony. The Great Neck Teachers Association has never lost sight of that. GNTA promotes the view that teaching is a profession. It insists that teachers be treated as professionals and that they in turn behave in a dignified, professional manner. The union’s role is to enhance teachers’ rights, improve their working conditions, and help define their responsibilities without losing our main focus on the education of children. I am most proud of the unified front that GNTA, the administration, and the Board of Education took in supporting and defending public education when an outside group proposed opening a charter school in the Great Neck community. My fondest memories are of the camaraderie among the Executive Board, the acceptance of different ideas, and the satisfaction I felt in representing the membership. Donna recalls when Carl Hedstrom, GNTA president at the time wanted more pay for the teachers. He wanted the teachers to picket. Most of the issues at that time in the late 60s early 70s were about salary. Donna was hired in1965 and recalls her starting salary was about $6,000 a year. Donna reflects back on being involved in the GNTA executive board and being a part of some interesting negotiations. "I learned more about life than what I learned in college.” One negotiation she remembers is when Zita Areman was president of GNTA. There was a clandestine meeting set up with the Kings Point Civic association and the GNTA executive board. The had of the civic association came to the cottage with a few representative in a limo. Taxes at the time were about 400 dollars a year and the civic association was complaining that the "fat in the budget" was due to teacher salaries. They claimed that the teachers were going to drive the middle class out of Great Neck. Donna also remembers in the early 70’s a controversial issue was when kids walked home for lunch. This began around 1965. But come the 70's many women went back to work and they did not want their children coming home in the middle of the day. Things had to change with the times so kids stayed at school for lunch. Donna and Bob remember negotiations that went through the night. One in particular began as a public hearing and negotiation that began on the stage at South High. At 11:00 pm the Board went into executive session.The issue was salary and an agreement was finally reached at 6:00 am. Howard Edelman was the chief negotiator and an English teacher at North .The negotiations had to have a fact finder and under the Taylor Law there had to be a public hearing. Howie went on to law school and is now an education arbitration lawyer. Bob describes Howard's role in Great Neck as "sensational." Bob recalls when a group of teachers from Lakeville came to the executive board of GNTA to complain.They called themselves, "the concerned teachers." Their beloved principal was on sabbatical and they did not like the principal who took his place. The acting principal made up a story and told a teacher that a parent had come to the office to complain about that teacher. In fact, the parent came to the office to praise the teacher. The issue was handled by GNTA and the acting principal was put on administrative leave.